Marketing products online is a challenge partly due to the immense competition and too many alternatives. Marketing is the only way to increase your sales and get more profit. Even if you have the best product with worst marketing skills and strategies, you and your product will fail to reach the customers and you will end up in loss. This Volusion review throws light on to the various aspects of marketing in ecommerce sites and how Volusion atends to it. This is one of the biggest advantage of volusion. It has been well optimized for search engines like Google, Bing and Yahoo. Your customers needn’t find your store, this well organized search engine optimized cart brings more shoppers to your store. It has Google sitemap generator. Imagine, your store is all about teddy bears and you sell them, when somebody Google’s teddy bears and badly wants to buy it, this well optimized cart points to your store on the first page in Google or it can be any search engines. You would have too many strategies for boosting your sales. The best strategy is to offer the customers some discount coupons or you can also say, BUY 1 and GET 1 FREE!!! All this depends on you. Volusion helps you to generate such coupons and discounts for your store and this can mesmerize customers and these offers will pull them towards your store and definitely not away. This is another amazing feature, review made by an expert by seeing the products, features and price will make little sense, but review made by the person who has used the product always gives better view about the product. This helps everyone to judge whether to go for it or not. 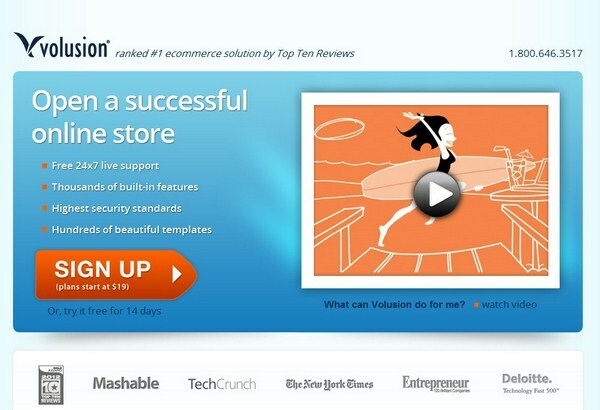 Volusion helps to post customer review about the products they purchase. This real time feature helps the next purchaser. This feature helps you to keep in touch with your customers always. You can send them a mail at any time to inform them about the latest discounts and offers. You will have your customers email id stored and using this feature you can send mails to their inbox right away with a single click. This feature helps your customers to place items on a wish list for purchasing it later. This tool helps them to revisit your site once again to purchase their desired product which has been already placed in the wish list. Every human is working round the clock; they have the tendency to forget things easily, they even forget items which they place on their wish list, you can remind them by mailing them. Thus you always get closer to your customers by your service.